To read a bit more about our 20th Anniversary Sale, please see our “About GW” page. One Single Spool. Own it! This listing is for one large wooden spool, a so-called mini-cone, of original Belding-Corticelli Color #2309. The spool is unused and the bottom label is intact, so it makes a great display item. 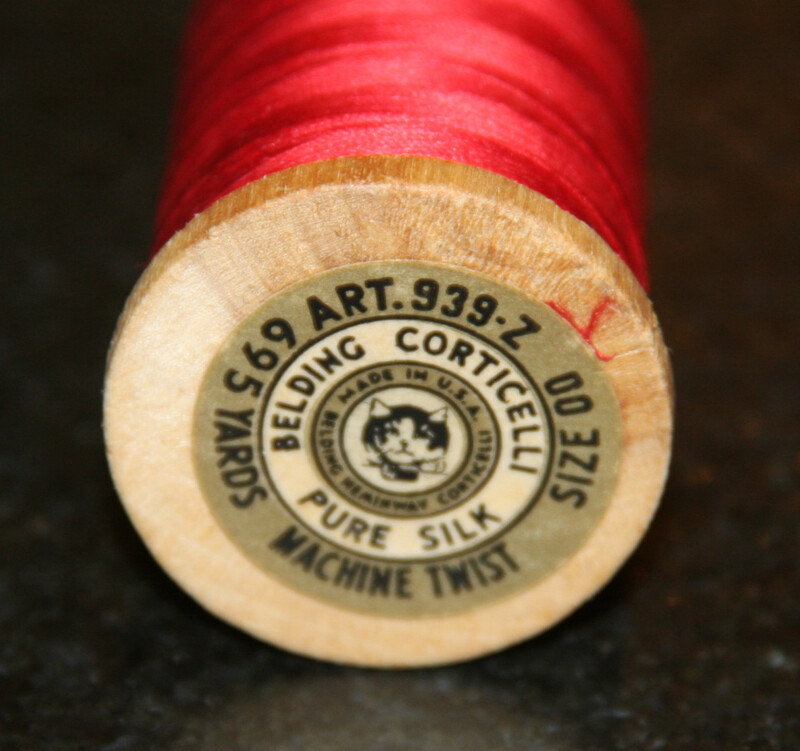 This is 00 silk and the spool holds 695 yards of gorgeous, crimson silk. Considering this is the only BC spool in this color and size we have in the shop, and it’s in ‘as new’ condition, our sale pricing is fair. If this spool sticks around, it could wind up much cheaper. Will you take that gamble and wait?